How do I get a quote for my business? Thank you for giving us the opportunity to quote on your business’ requirements. We always aim to supply you with a competitive quote, extra friendly service and high quality products. To get a quote, please make your enquiry online using the form to the right. How frequently will my business be serviced? Daily, weekly, fortnightly, monthly or quarterly depending on the service arrangement you require. Your account manager will discuss the best arrangement for your circumstances. It could be a combination of any if you have a range of products. Why should I rent rather than buy? How do I change my existing service? Please contact your local branch for the quickest response to altering your order quantities, changing account contact details, querying an invoice or reactivating a dormant account. What happens if I need to urgently increase/decrease my next order? No problem! The fastest way to change your current service is to call your local branch during business hours. An Account Manager will be able to take your request, process the change and ensure it gets delivered to you on time and exactly what you ordered. What happens if I need to cancel my service? If you wish to cancel your service contract, please call your local branch and speak to an Account Manager. Cancellations cannot be accepted via the website contact forms. Am I able to get a cost estimate for a business I am in the process of setting up? Our Sales Representatives visit all our customers on a regular basis and subsequently have an excellent understanding of what each type and size of business needs daily. If you provide us with a little detail as to your number of seats, type of business and your location, your local Sales Executive will be able to give you not only a quote but sound advice based on their experience. Am I able to hire linen for my wedding? No.Unfortunately we are not able to hire hospitality linen to individuals for one-off events. 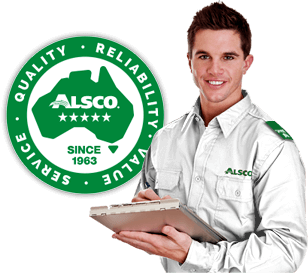 Alsco operates the largest commercial laundry facilities in Australia best suited for use in hotels, motels, restaurants and hospitals. Am I able to hire linen for my holiday house? No.Unfortunately we are not able to supply linen to individuals or for holiday house accommodation. Alsco provides long-term service contracts especially suited to those in the accommodation industry. We offer daily, weekly and fortnightly contracts to suit commercial schedules, and offer everything from tea towels, bathrobes, quilt covers, sheets, bath mats, bath towels, face washers and more. I am a commercial manufacturer. Am I able to sell my products to Alsco? 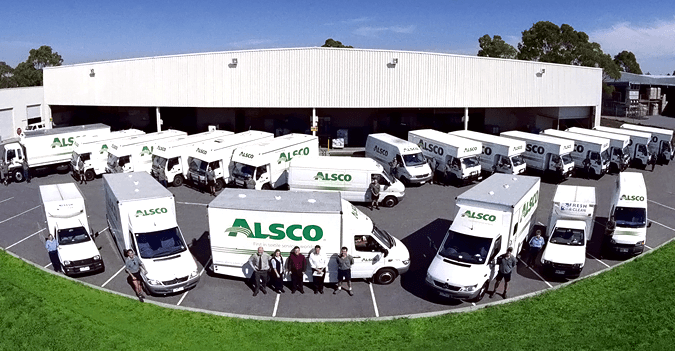 Alsco has a 120 year tradition of supplying businesses with high quality products manufactured to our specifications. If you have a new product, not currently in our range, please contact head office and make an appointment. Email solicitations, unfortunately, cannot be accepted due to the volume of spam we receive. How do I get a job at Alsco? We are always looking for enthusiastic and capable people to join our teams. It’s a great place to work, and we welcome your applications via the employment section of the website.